If you are staying at any hotel in Antalya or nearby regions please note that, there is a free hotel pick-up / drop-back service for this tour. 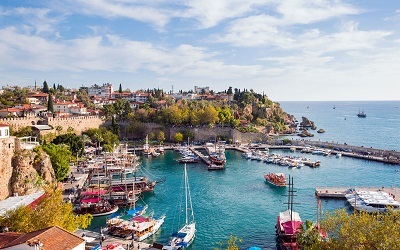 Antalya as a city covers a large area and there are many hotels at many different locations. There are time differences up to 1 hour as the region is located on a large ground and there is a certain distance between the hotels. If you are not sure where your hotel is located you can easily use the Enquiry Form on the tour page and ask about your hotel or any other questions. Important: If you are not sure where your hotel is located, please contact to us before you make your bookings. After your booking is finished, our team will contact you immediately and let know the exact pick-up time for your tour via email, sms or whatsapp.